Why do people love dogs? Well, they are fun, they are useful, energetic and, above all, they are just adorable! What else can we say about golden retrievers? It's obvious that they are very entertaining and super sweet! This little guy doesn't need to do anything to be really cute. 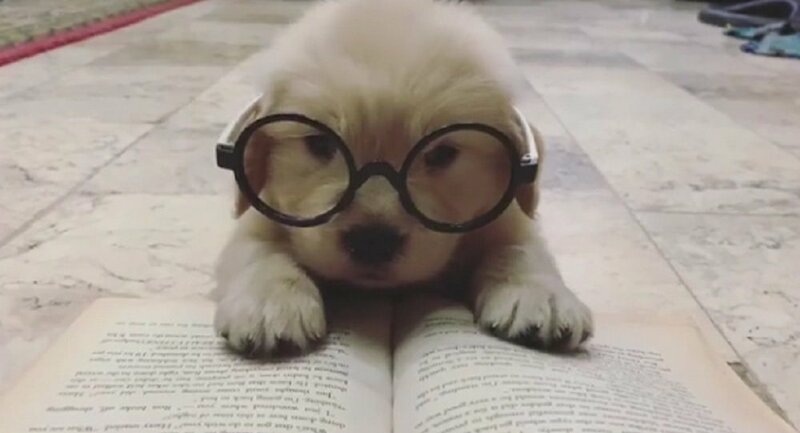 The Golden Retriever puppy is just wearing its owner's glasses that are obviously too big for him and trying to take a nap on a book.